They will get it and then use it. It will not be for opening a bogus credit card account. Cyber thieves know where the money is and it is in selling the passwords to someone else. That third-party is the one who is going to invade your credit account or your bank account. You will not know the damage until you receive your bill at the end of the month. Countrywide Pre-Paid Legal Services is aware of identity theft. 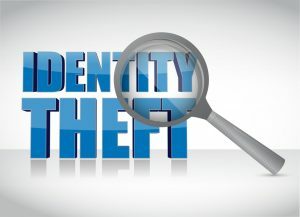 We have worked with companies developing group legal plans for years, and we heard horror stories about identity theft. It is why we offer services to help prevent a financial disaster. The first line of defense is knowing your credit scores. Waiting until the credit card bill comes maybe too late. Discovering that there is a sudden problem will allow a person to act immediately. Countrywide Pre-Paid Legal Services helps with credit monitoring by offering credit reports from the largest credit bureaus (Experian™, Equifax™, and TransUnion™). These bureaus have 24/7 credit monitoring and have email alerts. They also furnish the opportunity to have monthly credit score updates. Restoring financial integrity after an identity theft takes more than just time. Various filings and reports can be expensive, but Countrywide offers the right assistance. A plan member has a chance to have $25,000 identity theft insurance to cover the expenses. It is a major benefit. Countrywide group legal plan benefits offer choice. We want prospective clients to know that we also offer choice in our identity theft and credit monitoring plans. There are two choices: The Premier Identity Theft Protector Plan and the Platinum Identity Theft Protector Plan. The type of pre-paid legal services offered depends on the plan selected. However, either one is an effective way to combat identity theft and recover from an attack. We do wish to mention that the Platinum Plan provides free customer support. Anytime a person finds out someone stole his or her identity, panic sets in. It is critical to be able to get the right advice in ending the crisis. We have professionals who are ready to offer the kind of information needed to understand better what to do and how to do it. A prospective client should know that Countrywide provides the same high-quality service as we do with our group legal plan benefits. We want the same empathy from counselors we require from anyone qualifying for a group legal plan relationship with us. An individual can expect respect and courtesy from Countrywide. We take the problem they face seriously, and we do our best to bring solutions. We will provide marketing materials to explain the benefits carefully to employees. We also have a user-friendly web page for employee registration. It is part of the overall package Countrywide Pre-Paid Legal Services offers. Identity theft can be a terrible ordeal. It comes as a terrible shock to the victim and leaves this person feeling very vulnerable. Countrywide wants plan members to be free of any worry. We do our very best to help a person whose identity has been compromised. We give our same commitment to quality that we give for all our group legal plan benefits. Identity theft is a modern issue and clients may have questions about our benefit. We welcome anyone who is interested in contacting us and finding out more about our protection.